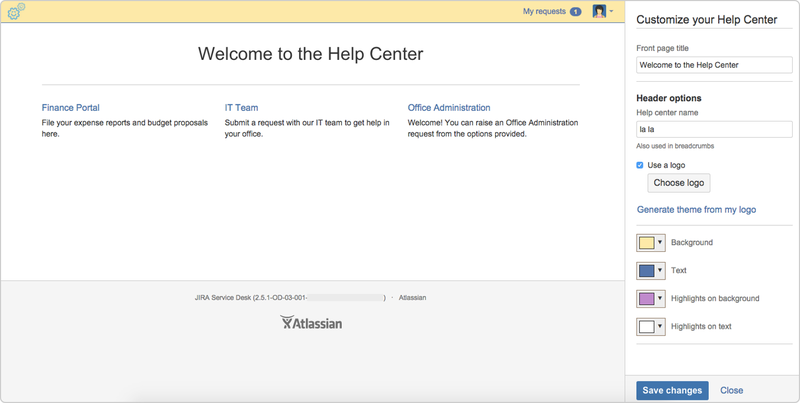 With JIRA Service Desk 2.5, you now have more control over the look and feel of your Customer Portal and global Help Center. To better track your team's progress, you can create JIRA Service Desk reports with more than four series, and see animated live updates in your queues. You can also create automation rules triggered by words or phrases in customer comments. You can now create service desk reports with up to 20 series, so you can better track your team's progress against any goals you have set. Head on over to the Reports tab in your service desk projects to create and manage reports. A customer leaves the following comment on a request: "Thanks. You can close this request." An automation rule IF condition detects the "close this request" phrase. The automation rule WHEN action transitions the request to the Closed status. Check out Automating your service desk to see more examples of automation rules you can set up in your service desk projects. Live queue updates are now animated so you can easily see what has changed in your service desk queues. We've created a new tutorial, Automation Rule Components, to help developers expand upon JIRA Service Desk automation rules. JIRA Service Desk 2.5 is compatible with JIRA 6.4 or later. You'll need to upgrade JIRA to 6.4 or later before updating JIRA Service Desk to version 2.5. Before upgrading, please check End of Support Announcements for JIRA and the upgrade notes for the JIRA version to which you're moving.